This error code, 80040E14 occurs when you execute a VBScript. You are probably using a WSH method to connect to LDAP. My wild guess is that there is extra speech mark, or there is something fishy with one of your quotation marks. The script does not manipulate the Active Directory object as you had hoped, instead you get a Windows Script Host error message. 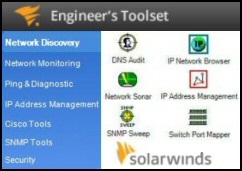 The probably scenario is that you are trying to manipulate an LDAP object. The most likely cause is incorrect reference to the domain in your LDAP command. Check lines which reference Active Directory, for example: LDAP://domain. Check the Line: number in your script that references the ‘Provider’. If necessary, work back for previous occurrences of LDAP. Incidentally, Char 1: often lies! it just means that the whole line will not execute. In this instance, you need to pay close attention to the speech marks. Note the error is actually on line 15: it should be ‘LDAP:// & strDomain ‘ . One pair of single quotes. Not ‘LDAP:// ‘ & strDomain ‘ with extra single quote. I just could not get the script to work with the strDomain variable…… Until I mastered binding to LDAP. ‘ Get Domain name from RootDSE object. & " ‘LDAP://’ & strDomain ‘ where objectClass=’printQueue’"
‘* forget that ADUC places a wrapper around the query. strLDAPQuerySearch = "(&(objectCategory=group)(objectClass=group)(dLMemSubmitPerms=*))(! (dLMemSubmitPerms=A ‘Test’ Group))"
strLDAPQueryReturn = "sAMAccountName, cn, ADsPath"
strLDAPQuerySearch = "(&" & strLDAPQuerySearch & ")"
Navigate to the command prompt. 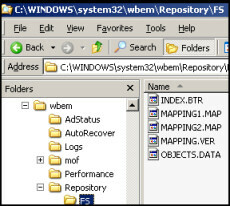 Using Windows Explorer, navigate to %systemroot%\system32\wbem directory and delete the Repository directory. By default, the repository folder is located in the C:\Windows\system32\wbem directory. I thank Riaan, Shane and Ramesh for supplying this extra information on WMI Errors in general and 80041xxx in particular.